September 23, 2014 Performance of “Breathing Room” at the Zephyr Theatre, 7456 Melrose Ave, West Hollywood, California. Featuring Joshua Wolf Coleman, Eileen T’Kaye and Mary Lou Newmark. Directed by Dan Berkowitz. September 20, 2014 Premiere of “Breathing Room” at the “Living Room” on the campus of Loyola Marymount University, 1 LMU Drive, Los Angeles, California. Special presentation for Yoga Day. Featuring Joshua Wolf Coleman, Eileen T’Kaye and Mary Lou Newmark. Directed by Dan Berkowitz. electric violin works as part of this free concert at 2:00 p.m. Mt. March 16 and 21, 2013 “Across Connections” Yorke Dance Project and Pennington Dance Group perform in London, England at the Merlin Theatre, Frome and artsdepot, Barnet. Mary Lou’s “Six Stones” will be performed as part of the collaborative dance composition “Overlay”. March 9, 2013 Women Composers Festival of Hartford, Mary Lou’s “I dreamt of birds” presented as part of the 60X60 Athena Mix 2012 at Wilde Auditorium, University of Hartford, Connecticut. March 8, 2013 Mary Lou’s “I dreamt of birds” presented as part of the 60X60 Athena Mix 2012 at the Harris Museum and Art Gallery from 11:00 am until 3:00 pm, Market Square, Lancashire, England. February 27, 2013 “Electroacoustic Music by Mary Lou Newmark” Mary Lou performs and explains her compositional methods on the lecture/ performance series, “Wednesday@Noon” UC Riverside, Department of Music, Riverside, California. December 7-9 and 14-16, 2012 Pennington Dance Group presents, “Traversing Time/s” a winter concert including “Overlay” with Mary Lou’s composition “Six Stones” at ARC Pasadena, California. November 10, 2012 “Live at the Promenade Playhouse” Video shown at Mu Phi Epsilon Pacific Southwest District Conference, California State University Dominguez Hills. October 31, 2012 “Natural Love” poem published online by Van Gogh’s Ear Anthology. August 24, 2012 Radio Broadcast of “I dreamt of birds” 60X60 Radio Extravaganza, WGDR Goddard College, Plainfield, Vermont. July 10, 2012 Radio Broadcast of “Canto de Luz – Song of Light” on Tarde transfigurada, Radio Nacional Clasica, Buenos Aires, Argentina. May 10, 2012 Mary Lou performs a solo version of “Breath of Trees” for Mu Phi Epsilon Los Angeles Chapter, Los Angeles California. December 13, 2011 Radio Broadcast of “These are the Street Angels” and“The Wind and the Rain” on The Latest Score, WOMR, Provincetown, Massachusetts. December 3,10,11, 2011 The Pennington Dance Group and the Yorke Dance Project join forces to present a premiere work “Overlay” including Mary Lou’s “Six and Seven Stones” from “Seven Sacred Stones” at CSU Long Beach and ARC Pasadena, California. November 12, 13, 2011 Workshop Theatrical Premiere of Mary Lou Newmark’s “Breath of Trees” at ARC Pasadena. Doug Tompos directs Mary Lou’s exploration of modern man’s relationship with the natural world. 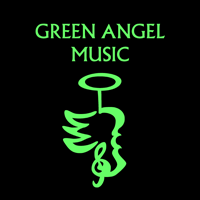 Presented by Green Angel Music Productions. September 16, 2011 IAWM Congress 2011 In Beauty We Walk: Changing Women and the New Musical Landscape Mary Lou performs “Restless Tiger,” “La Loba Wolf Woman” and “Ready to Run,” Ashurst Hall, Northern Arizona University, Flagstaff, Arizona. July 23, 2011 World Premiere of “Five Birds Alighting for Electric Violin and Soundscape on the Fly” performed by Mary Lou at the NACUSA Summer Concert Series, Culver City, California. June 24, 2011 South Haven Performance Series Clarinetist Andrea Cheeseman performs Mary Lou’s “Shattered for Clarinet and Soundscape” United Methodist Church, South Haven, Michigan. March 15, 2011 World Premiere of “Shattered for Clarinet and Soundscape” performed by faculty clarinetist, Andrea L. Cheeseman at Rosen Concert Hall, Appalachian State University, Boone, North Carolina. March 7, 2011 Sound is Art Mary Lou’s “Way of the Witness” was featured on the blog by Margaret Noble. January 22, 2011 Alive by Her Own Hand: Women Composer/Performers Mary Lou performs “The Tiger is Awake” at the “Living Artists Concert” for this weekend festival and conference at Brandeis University, Boston, Massachusetts. November 16, 2010 Electro-Acoustic Music Festival Mary Lou performed ten of her compositions and spoke about her compositional methods as the Special Guest Artist at Palomar College, San Marcos, California. June 26, 2010 West Coast Premiere of “Canto de Luz – Song of Light” Mary Lou Newmark’s “Canto de Luz, – Song of Light, a Concerto for Electric Violin and Orchestra” premiered by the Culver City Chamber Orchestra with Mary Lou as soloist on Saturday, June 26th at 4:00 p.m. at the Kirk Douglas Theatre in Culver City, California. This three movement work, which was originally commissioned and premiered to standing room only audiences in Vermont by the Montpelier Chamber Orchestra, has been completely revised with a new cadenza added. March 10, 2010 Radio Broadcast of “Comments on the Cosmos” on the show New Dreamers, KLCC 89.7, Eugene Oregon, NPR. “La Loba, Wolf Woman” was performed at the Stedman Art Gallery as part of an international installation supporting the art exhibit, “A Complex Weave: Women and Identity in Contemporary Art.” Rutgers University, Camden, New Jersey. Radio Broadcast of “The Wind and the Rain” on the show “Monitor Mix”, Sveriges Radio, Swedish Public Radio. World Premiere of “The Tiger is Awake” and “Bed, Bath and Beyond Suite” Pacific Palisades Women’s Club. Roy O. Disney Music Hall, “Identity Matrix” by Mary Lou as well as works by Anne LeBaron, Kaija Saariaho, Sofia Gubaidulina and Joan Huang. “Identity Matrix” by Mary Lou as well as works by Deon Price, Marshall Bialosky and others. at the National Convention of Mu Phi Epsilon in Jacksonville, Florida. July 19, 2007 Mary Lou elected into the prestigious “Artists, Composers, Musicologists, Educators” (ACME) of Mu Phi Epsilon. Members of this elite group are widely known and acclaimed in their field, and are voted in on the basis of outstanding achievement. on the Main Stage of Boston Court Performing Arts Complex in Pasadena, California. Darin Anthony directs Mary Lou’s heart-shattering social commentary. Produced by Zebulon Projects. by Tom Peters, double bass and Mary Lou, electric violin with works by Deon Nielsen Price, Marshall Bialosky, Robert Bowen, Mary Lou Newmark and others at the Santa Monica Library Auditorium in Santa Monica, California. a recital of contemporary bass literature by Tom Peters, including music by Lavista, Gubaidulina, Henze, Huang, Globokar, Zbar and readings of Lovecraft, Coleridge, Peters, Li Bai at the Branson Performance Space, Pasadena, California, 7:00 p.m.